For a few hours (literally a few hours), no one was thinking about how dreadful the Oilers are. No one was thinking about the draft lottery. No one was wondering who Peter Chiarelli was going to trade in the offseason. During the ceremony following the last ever game at Rexall Place, nostalgia, happiness, and fond memories were the only things present. The whole night went to script. The Oilers played well and won the game. Connor McDavid scored the game winning goal. There were plenty of fuzzy feelings, and not many dry eyes as the night played out exactly as everyone hoped for (minus the injury to Darnell Nurse). It would have been a great way to put a bow on the season. It would have been nice to send off the 2015-16 season with a gathering of Oilers alumni, the game call of the legendary Bob Cole, the standing ovation for Ryan Smyth, and the honoring of Joey Moss. Everyone left with a smile on their face, and probably woke up with one too. But, there is still one game left to play. Yes, after what was a great night, the team has to suit up one last time, reminding everyone that there won’t be any playoffs once again, reminding everyone there is nothing left to play for. You could argue there was nothing left to play for in game 81 as well, but you’d be wrong. There was everything to play for. The fans wanted a win as much as the players did. Nobody wanted to see the team salute the crowd after a loss. Everyone wanted the Oilers to own the scoresheet, and they did just that. To suggest that a little air may be let out of the balloon in Vancouver on Saturday is an understatement. It’s just a formality now. That’s been the case for much of the past few weeks, evidenced by the team’s play. But last night wasn’t just going through the motions. 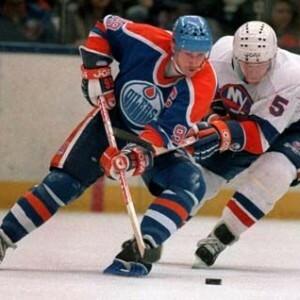 The Oilers wanted Rexall’s last stand to be victorious, and it’s a shame they couldn’t end the season on that note. But who knows. The Oilers may come out firing on Saturday, perhaps re-energized by the proceedings that took place. Maybe they’ve been inspired, seeing the Oilers greats of the past, hearing the roar of the crowd. They know now more than ever what a passionate fanbase they have the privilege of playing in front of, and maybe they’ve subconsciously taken it for granted. This could be a fresh start. I think it would have been nice to end after last night, and look ahead to a new season, in a new building. There actually is something at stake on Saturday night. The Oilers currently sit in 29th place overall. They have 69 points. The Toronto Maple Leafs sit in 30th with 67 points, with two games left. If the Leafs get at least three points in those games, and the Oilers lose their last contest, that would give Edmonton the best odds at winning the lottery. I know, we don’t want to hear about that anymore. But it’s still a realistic scenario, so the games aren’t completely meaningless. In any case, after celebrating the glory of years past in Edmonton, the last thing anyone wants is to be reminded of the current state of the team. It was nice for something positive to happen. It was nice to feel the energy and excitement in the building. It felt like last summer, as Oiler fans awaited the day that Connor McDavid would become theirs. It was the anticipation, the sudden forgiveness of the past, and the hope for the future. Those vibes unfortunately didn’t last long, but the goodbye to Rexall was certainly a high that everyone sorely needed, and it’s a nice way to head into the summer. If the Oilers lose their last game, if they get outplayed again, will that put a bad taste in people’s mouths? Will it somehow taint the good feelings of last night? 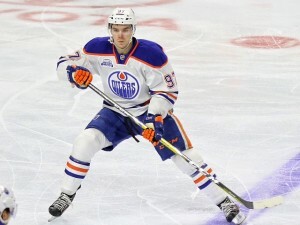 Hopefully, the Oilers will carry over the momentum, bring their best game and end the season on a win. After all, the Canucks are just as bad, and probably can’t wait to get this forgettable season over with. For some, maybe game 82 will just be an afterthought. Maybe they’d prefer to focus on the ceremony and let that be the last memory. It would have been nice if it really could have been. But hey, maybe the boys will come through and win another one, and everyone will be happy. If they lose, well I guess it wouldn’t be anything out of the ordinary, maybe even expected. But I would be surprised to see a poor effort. The team has been reminded of what has gone before them, and if that’s not motivating, nothing is.